Sunrise Savannah has been serving Savannah, Tybee and Wilmington Islands since 1987. Not only do we provide 3 full-service restaurant locations, we are also available to cater local events, business functions, or office parties! We have a great line up of the all-American Southern classics available to choose from. 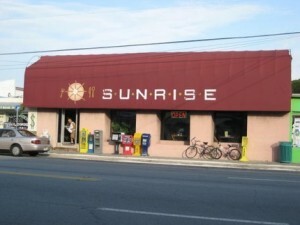 The first Sunrise Restaurant was founded on July 22, 1987 on the Southside of Savannah, GA. 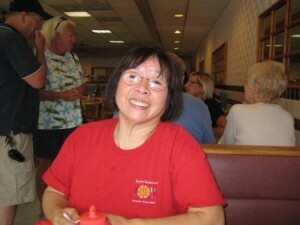 Capitalizing on serving good, substantial breakfasts, Paul Yao worked the grill while Agnes Yao waited on the customers. Their kids—Melissa, Christina, and Serena– would straggle into the restaurant at 5 a.m. before school, often taking a taxi or catching a local bus. Soon after, the high-quality breakfast caught the attention and taste buds of the Savannah Morning News, featuring Sunrise in a review that claimed, “the omelettes are the specialty of the house.” Word spread and success followed. Sunrise expanded to a second location on Tybee Island in 1990. Sunrise Tybee was five times the size of the original location, but the family was undaunted in their pursuit to provide good food and friendly service to all customers. In 2002, Sunrise Wilmington Island opened its doors with 80 seats, and in 2005, Sunrise Chatham Parkway joined the family. In addition to the legendary breakfast that Sunrise is known for, this location also serves an expanded lunch menu, Monday – Friday, with daily hot lunch specials (meat & 3 sides) as well as a soup and salad bar. 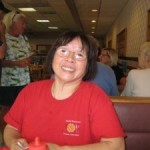 All of the Sunrise Restaurants are still proudly owned and operated by the Yao family.